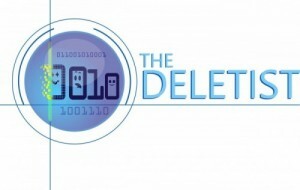 The Deletist – Page 3 – Be elite and delete. Save strategically! I find it useful to have a dedicated place to jot down notes and record things that I want to remember. For example, people are always recommending books to read or movies to watch. Sometimes verbally and sometimes electronically. Prior to developing my system, I would always do my best to remember the recommendation. Inevitably, the information would fly out of my brain the moment I was at the book store, searching the library catalog, or perusing options on Netflix. Or I would save the electronic message for a long time until I could take action on it. If I remembered it was there. Even if I did write down the recommendation, rather than tricking myself into thinking I would remember it, I could never recall where I had written it down. Was it in the notebook, my paper planner, a tiny scrap of paper tucked away somewhere? To resolve this challenge, I dedicated a place to record these types of things on my smartphone. One centralized place specifically for taking notes, writing down recommendations, or cool things to look up later. On my phone I have a few different lists in Trello to capture notes while I’m on the go. Or sitting around. Trello is a web-based task management system. Incidentally, I also use it for my routine and ad-hoc “to-do” lists, plus a few other things. In Trello I dedicated a list for Book and Media recommendations. Every time I hear about an album I want to buy, a good book, or a cool movie, I add it to the list. Then when I’m looking for books at the library, I can consult my list for items to borrow or add to my account wish list for later. I do the same thing with Netflix. Every so often I go through my media recommendation list and see if any of them are in Netflix to add to my account. Then I delete them from my phone. I also use Trello to jot down ideas and notes for this blog. One never knows where and when inspiration will strike for the next great posting. You don’t have to download Trello to replicate this system. The most important part is to dedicate one place to record things for yourself. It could be a note app, Google Keep, or anything that you already use. Then remember to use it! The next day started at Yrti Tunga, a beach. (Click here for another picture.) 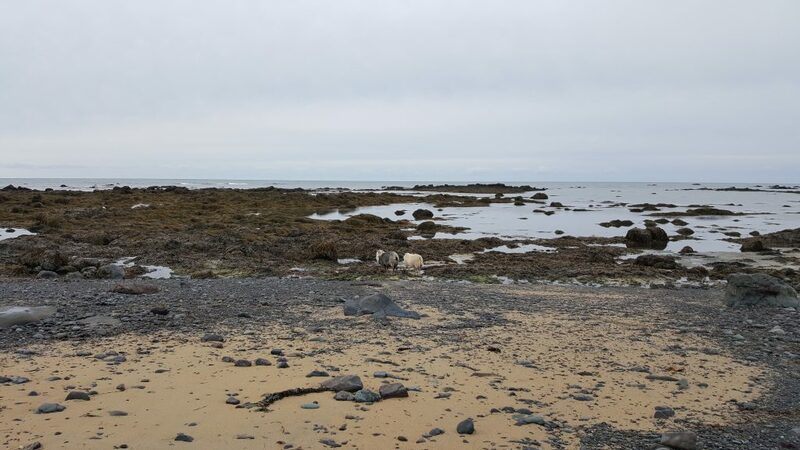 We were surprised to see sheep eating seaweed. Their shaggy coats blended in perfectly with the surroundings. We left the beach and headed for Arnarstapi, a fishing village. Along the route, we passed a scenic viewpoint of where Iceland’s most famous serial killer, Axlar-Björn, murdered his victims. In the mid-1500’s he hosted travelers passing through in his farm house, but supplemented his income by killing them and stealing their money and horses. Soon after we arrived at the harbour, for a walk along the coast to see blowholes, basalt cliffs, arches, and lava formations. 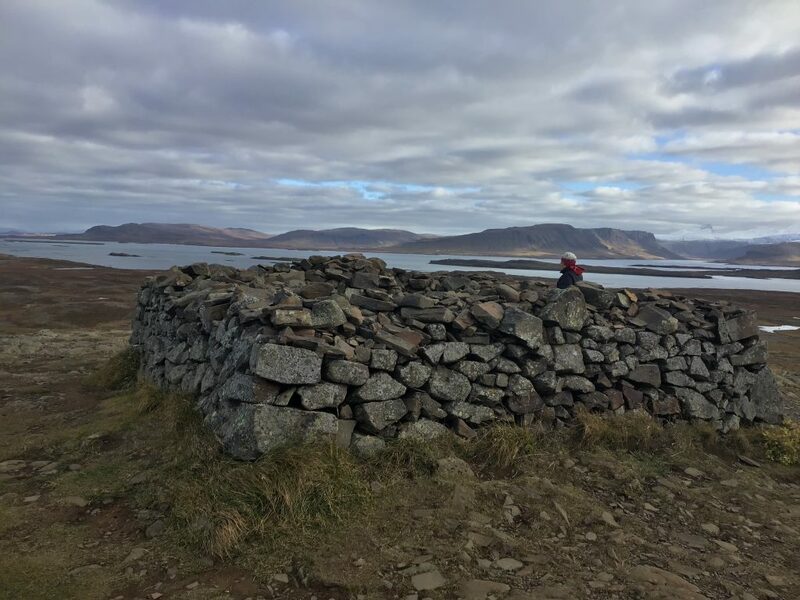 The beginning of the trail started with a giant statue of Bárdur Snaefellsás, a half-troll/half-man who settled the area and still remains its protector. This is the top half of the statue. I wasn’t able to get a shot of the statue without people in it. Everyone posed for pictures with the statue and touched it for good luck. Then we were ready to begin. The lava formations and basalt columns were stunning. It was cold and extremely windy. Almost too gusty to take pictures, but somehow I managed by clutching my camera tightly with two hands. At the end of the walk we gratefully boarded the bus, appreciative for the protection against the elements and headed to lunch. A short drive later, we arrived at a small restaurant. We crowded in for hot soup and fresh crusty bread smeared generously with butter. Lunch was followed by some kind of creamy, silky skyr, an Icelandic dairy product. It’s like yogurt, but with a light custard-like consistency and not as sour. After lunch we headed to the Snaefellsness Peninsula. The conditions were terrible. Even so, my family and I decided to hike into the mossy lava fields to see a crater plug. The winds whipped around us, threatening to carry us off by billowing our rain pants out. The crater plug in the distance. The strong winds prevented us from getting closer. We were supposed to walk around a volcanic crater on the way back. However, the winds were so strong that the bus almost had to stop driving. Our outdoor excursion was cut short and we headed straight to the last stop on the tour, a Shark Farm. Except for the exquisite scenery surrounding the shark farm, the photo opps were limited to drying racks strung with liver-colored hunks of fermented shark meat. Since sharks are one of my favorite animals, I did not try the hárkarl (pronounced kind of like how-karlk). I’ve been using Out of Milk, a grocery app, for close to two years. I first blogged about using a Grocery List App (read here) in 2017. Overall, I’m still satisfied with the app. It’s fairly basic as far as functions go, but that also makes it easy to use. My favorite thing about the app is having a centralized place to immediately capture whatever I need, no matter where I am. Prior to having the app, I would scribble down my grocery lists on random scraps of paper, post-it notes, or even in the margins of my notes. The paper system worked okay, but I find it much handier to keep a running list. Now, as soon as I notice or remember I’m running low on something, I can add it to the app so it’s there the next time I go shopping. If I just wanted a centralized place to write down my grocery list, any note-taking app would do. Or I could use a white or chalk board in my kitchen, which is useful but limited in some ways. The difference is Out of Milk is designed specifically to enhance the process and offers some features to that make it more efficient. The “Pantry List” is convenient for adding frequently used, or routine items, to the grocery list. From the “Pantry List,” they can be added to the grocery list. Items deleted from the grocery list, remain in the “Pantry List,” available for reuse the next time I go shopping without having to write them again. I’ve also found it’s pretty useful for creating customized lists. The Out of Milk app is fairly versatile so it’s pretty easy to create and maintain lists for specialized stores or non-food items. For example, I created a separate list for a specialty grocery store I shop at for certain items. I also have separate lists, or categories, for drugstore or hardware store items. Again, super useful to have a centralized place to record all of my shopping needs when I think of them so they are captured and ready for when I go out. The thing I was most frustrated about with the app, namely that it allows me to add the same item more than once to the same grocery list, is still there. Aside from that, it’s a keeper. A few months ago, I blogged about tech companies “Controlling Global Language.” With billions of people using social media platforms and producing billions of posts daily, things are bound to get complicated. Language is nuanced and context counts for a lot when evaluating content. This factor is further exacerbated when considering that social media platforms now exist globally and work across cultures. Something that is permissible or not offensive in one culture could be interpreted differently halfway across the globe. To deal with this some companies, like Facebook, create “rules” and hire thousands of humans to review content (e.g., posts, images, comments, etc.) and make snap decisions on whether or not it is deemed “harmful.” Recently the New York Times published an article titled “Inside Facebook’s Secret Rulebook for Global Political Speech” by Max Fisher. The article describes in some detail how humans around the world are supposed to evaluate billions of posts each day according to rules created by Facebook on what is, or is not, deemed acceptable content for their platform. The rules even include guidance on how to interpret emoji in certain contexts when they could be considered offensive or indicate something more serious than a smiley face. One of the many challenges about opening up platforms for anyone and everyone to post content is that it’s difficult to regulate. And then you have to ask yourself, should it be regulated? And by whom? How could rules be created to monitor posts and content without being subjective? Or largely influenced by who’s in power in a particular country? Facebook will remove content and ban users that are considered offensive, threatening, or dangerous, according to its rulebook. Then I wonder, where do these people go to post content? Banning or eliminating content from one social media site doesn’t get rid of it. Most likely the content owner simply moves to another platform where s/he can get support for his/her viewpoints. This is also a danger because then this content grows in the deep, murky areas of the internet unnoticed, sometimes until it’s too late. The problem is complex, perhaps one that wasn’t fully anticipated or considered when social media platforms first appeared over a decade ago. Or one that was pushed aside to focus on growth, content production, collecting data, and sharing. The solution, it seems, will have to be equally complex to have any impact. It’s customary for most of us to start off the New Year filled with resolutions and the promise of change. We’re pumped and motivated to stick to our goals, go to the gym daily, eat leafy greens, make our beds each morning, or whatever else sounds appealing as a fresh start for the new year ahead. Inevitably, most of us will begin to slack on our resolutions within a short period of time. This year, instead of making a whole bunch of resolutions, why not focus all that energy and motivation into making space for new things to happen in the new year? Most of us make resolutions because we want to change something about ourselves or our lifestyles. Well, that change can’t, and won’t, happen unless we create an opening for it to take shape. Whether you realize it or not, clutter represents stagnant energy and it will stand in your way of accomplishing your goals. Statistically most resolutions are bound for failure. Why set yourself up for that kind of guilt and pressure at the start of a new year? Relax! Concentrate instead on getting rid of the dead weight where it bothers you most. Space can be made anywhere and everywhere. And you don’t have to stress yourself out by tackling big, annoying to-do projects that have been lingering around for a while. Start small, start easy. Work your way up to the bigger things. Small wins will boost your confidence and motivation. If you’re bothered by physical stuff, make space by cleaning out a single drawer or shelf. Go through that medicine cabinet or the deep underbelly of the bathroom sink. It will likely take less time than you think. Or focus your energy on one type of clothing/item (e.g., shoes, socks, t-shirts, etc.). Perhaps you feel irritated by a crowded desktop on your computer. Or too many digital photos on your device. Set a timer for 20 minutes and clean out some of the electronic clutter. If you need additional tips and inspiration, check out my book, The Art of Making Space: Choosing Quality Over Quantity. You can even download a free chapter when you sign up for The Deletist mailing list to begin making space immediately. This offer expires on January 15, so sign up today! The sign-up box is in the right sidebar. 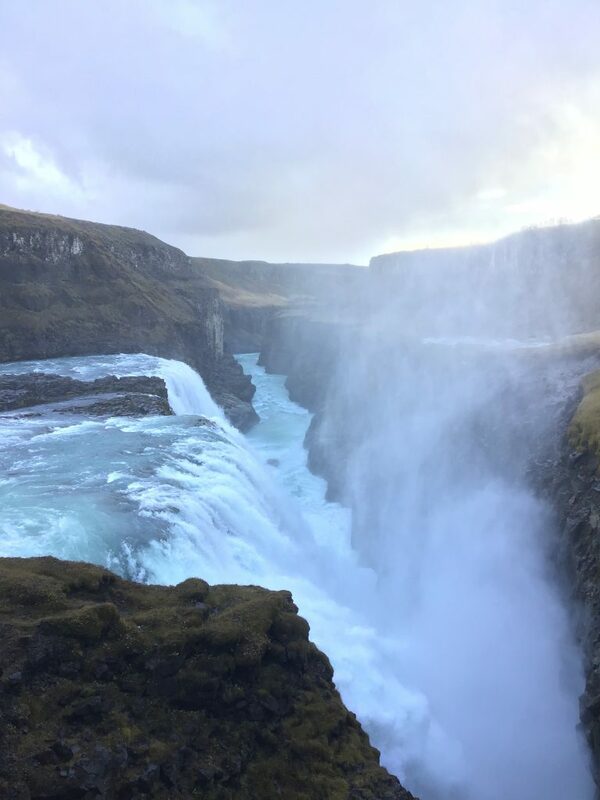 The famous Gullfoss in Iceland. The sky cleared for a few minutes and we were lucky to see a hint of a rainbow. Read the first part here and see more photos here. 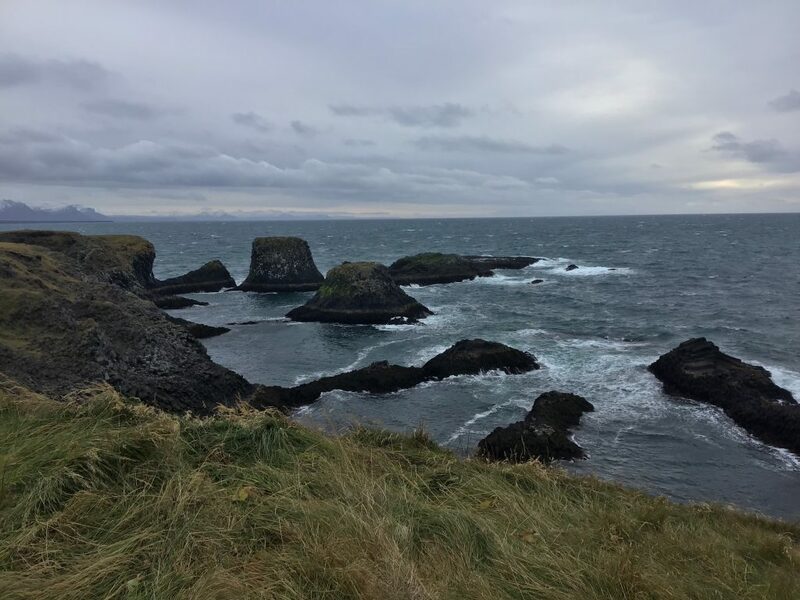 We departed early the following day and headed north along the western edge of Iceland. 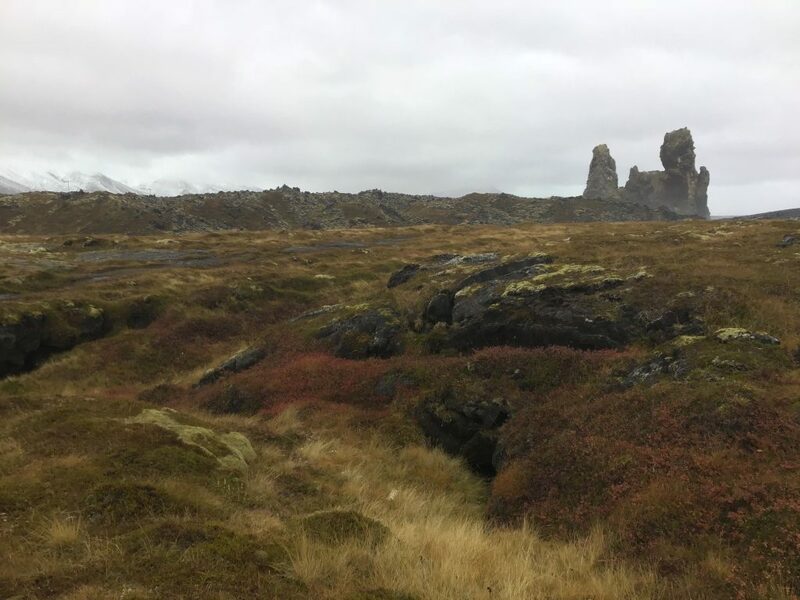 Within minutes of leaving the city area, the landscape opened up to reveal mossy fields dotted with blackened nubby lumps of lava. The scenery was so spectacular that I scarcely noticed the time passing until we stopped at a wool studio. 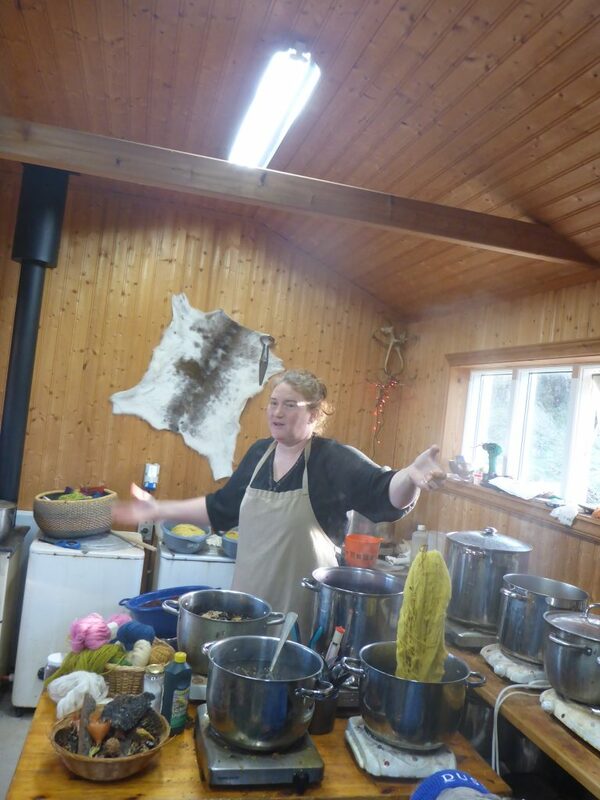 The owner, Guðrún Bjarnadóttir, showed us how she uses plants and natural materials found in Iceland to dye her wool. She used a couple of imported materials, but the majority was found in Iceland. Guðrún demonstrating how she makes yellow, one of the easiest colors to create. After, we stopped at the Settlement Center in Borgarnes where we took a self-guided tour of the Viking settlers in Iceland. Then lunch! 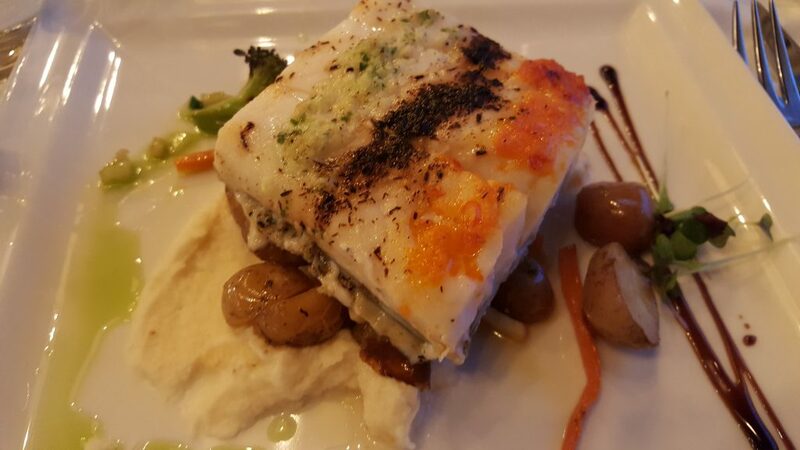 I was surprised by the food in Iceland. Every meal featured lots of fresh vegetables, fresh-baked brown breads and copious amounts of butter. Feeling full and sleepy, we boarded the bus and continued north for one last excursion before reaching Stykkisholmur, the town we would stay in for two nights. 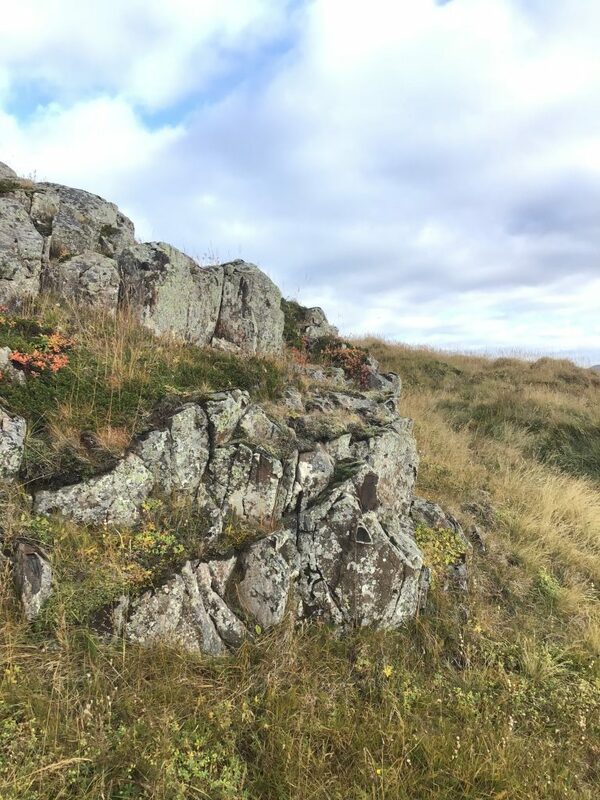 We stopped at Helgafell (“Holy Mountain”), a sacred hill about 250 ft. high. Don’t speak to anyone or look behind you on the way up, we were instructed, if we wanted our wish to come true. Once at the top, go into the ruins, make a wish, and twirl around three times. Then you may speak. I tried to remember all the rules, but it was challenging considering the magnificent surroundings. It was hard not to look around at the stunning views while hiking up, but the terrain was just as interesting. Mosses in an array of colors and tiny plants dotted the landscape. From a distance the effect was similar to a Monet painting, but up close, I could see the intricate details and uniqueness of the plants and mosses. 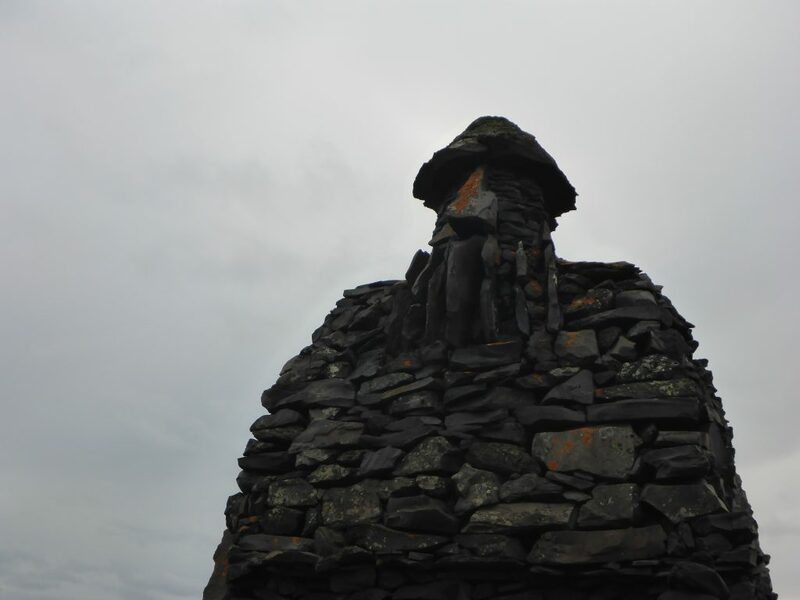 When we had all hiked up and made our wishes, we headed to Stykkisholmur. We took a short walking tour through the sleepy town. 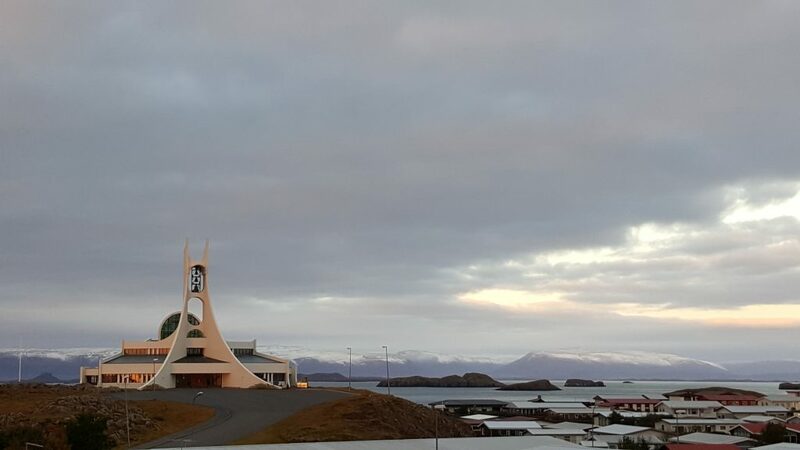 View of the church next to the hotel. I was delighted to discover the local swimming pool was a 5-minute walk from the hotel. As per usual, the pool was outside. This time I also sampled two of the hot tubs. It looks cloudy in all the pictures, but that evening it cleared up and we saw Northern Lights for the only time on our trip. It was too cloudy the rest of the time. Bonus picture of a fresh fish meal in Stykkisholmur, much appreciated after the swim.